25 new options to blow your worlds of Minecraft. 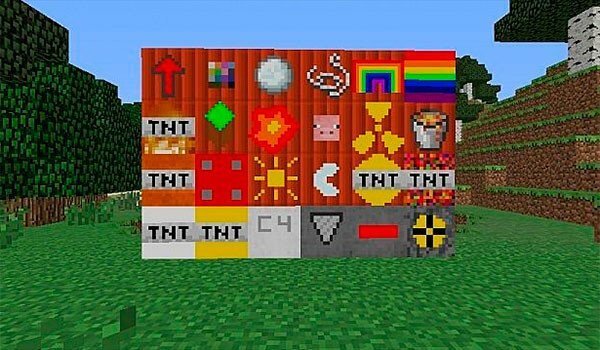 Explosives++ Mod 1.7.10 is a mod that handles offer a total of 25 new types of TNT. These new pumps, in most cases cause much more destruction, compared with predefined game pumps. Although there are other pumps, for example changing from day to night, to explode. Among all this new assortment we find things like a TNT multiplied by 5, and multiplied by 20 to normal Minecraft bomb power, a bomb drill, C4, meteorite TNT, sphere of TNT, TNT Chunk and of course one of the more destructive, TNT rain. How to install Explosives++ Mod for Minecraft 1.7.10?